Ministry of Environment, Forests & Climate Change (MoEF&CC) has notified the draft Coastal Regulation Zone (CRZ) 2018 guidelines for comments of the public and stakeholders in the next 60 day. This draft notification has major recommendation which would boost tourism development in coastal areas of the country which remains untapped due to stringent regulatory framework. 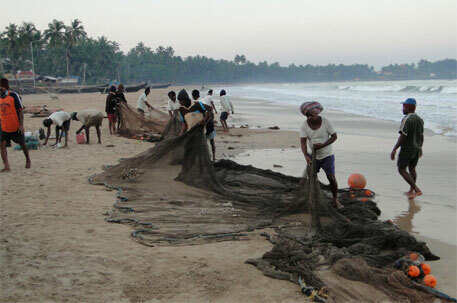 The Centre has allowed India’s coasts to be made more accessible to tourism and industrial infrastructure and given individual States considerable leeway to decide how they should plan such development, according to a draft version of the proposed modification to India’s coastal regulation zone plan made public on the Environment Ministry website. The coastal regulation zone, or CRZ, 2011, refers to regions in the proximity of India’s 7000-km-long shoreline where buildings, tourism facilities, industrial projects, residential facilities etc are highly regulated. In most cases it begins from the high tide line (HTL) to about 500 metres towards the landward side. The zone is subdivided into regions, with varying leeway for infrastructure development, depending on population and ecological sensitivity. The CRZ-1, for instance, includes the most ecologically sensitive areas and according to current laws is off-limits for tourism activities and infrastructure development except for defence, strategic and rare public utilities projects. According to the new CRZ, 2018 notification “..nature trails and eco-tourism activities..” may be permitted in CRZ-1 regions provided they conform to state-approved coastal zone management plans.